When Adolf Hitler became Chancellor in January 1933, he moved into the Old Reich Chancellery, the office of the German Chancellor. 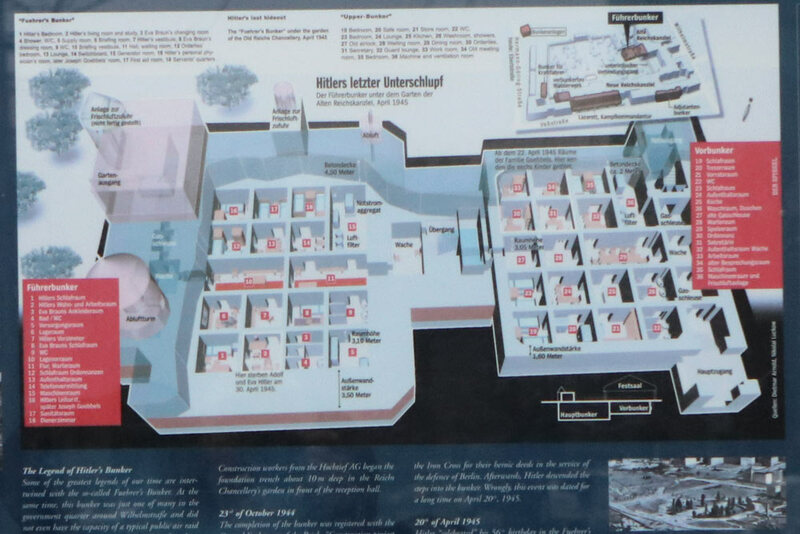 In 1935 the building was expanded with an underground shelter bunker, the Vorbunker. 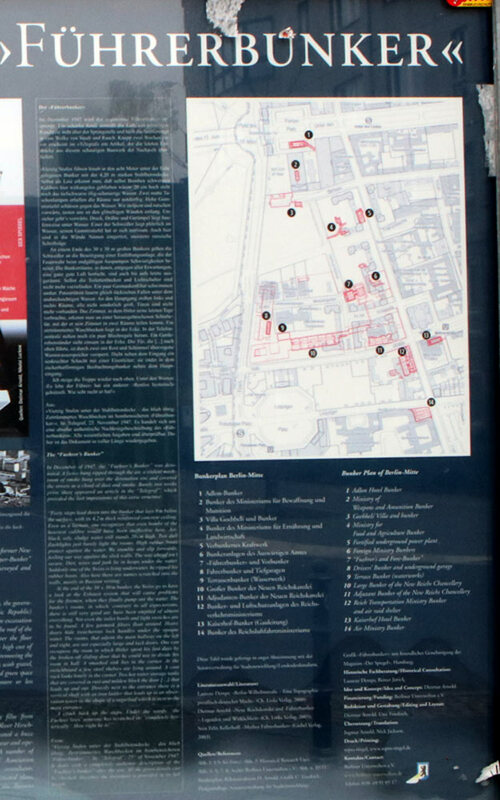 In 1938 Hitler gave the order to architect Albert Speer to design and build a new Reich Chancellery. The New Reich Chancellery was completed in 1939 and was equipped with a connection to the Old Reich Chancellery where Hitler's apartment was. 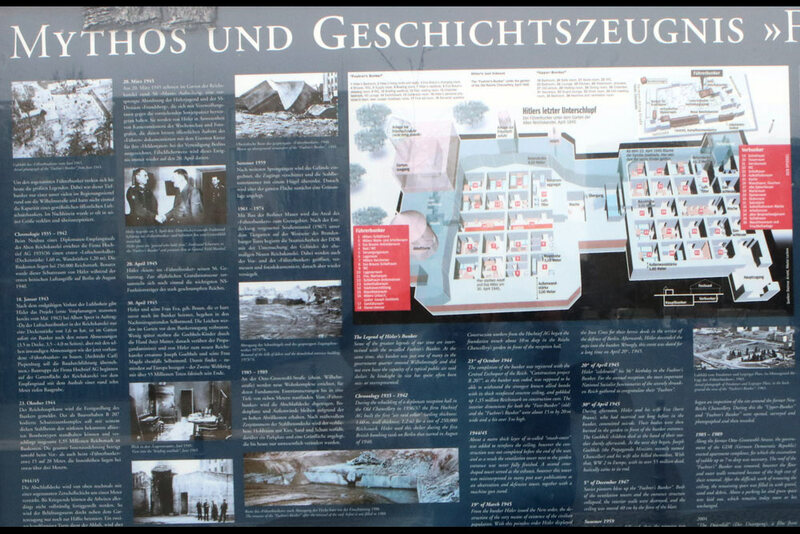 Because he was concerned for his own safety in January 1943 Hitler commissioned Speer to design and then build a new shelter bunker, the Führerbunker. 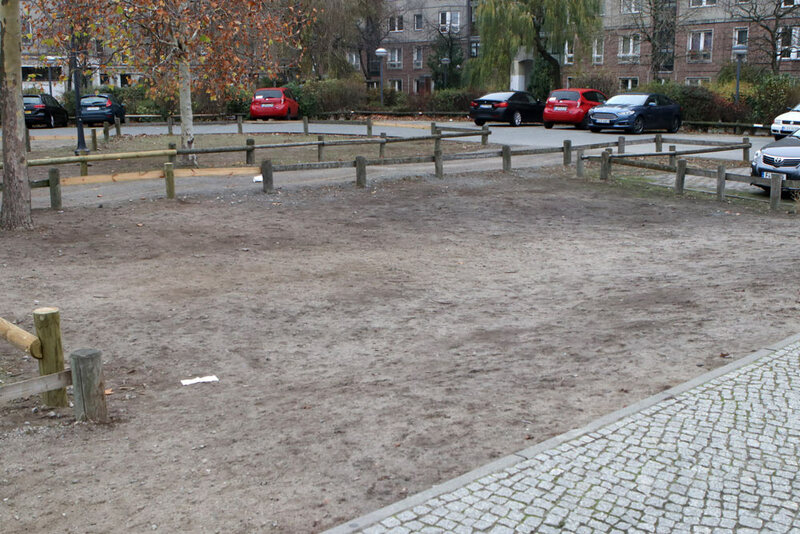 The Führerbunker was located next to the Vorbunker and got exactly the same dimensions as the Vorbunker but featured a much heavier roof and thicker walls. In this Führerbunker Hitler spent the last hours of his life . All that remains of the Old Reich Chancellery (1878), the New Reich Chancellery (1938), the Vorbunker and the Führerbunker after the Russian demolition works of the last century are underground remnants. 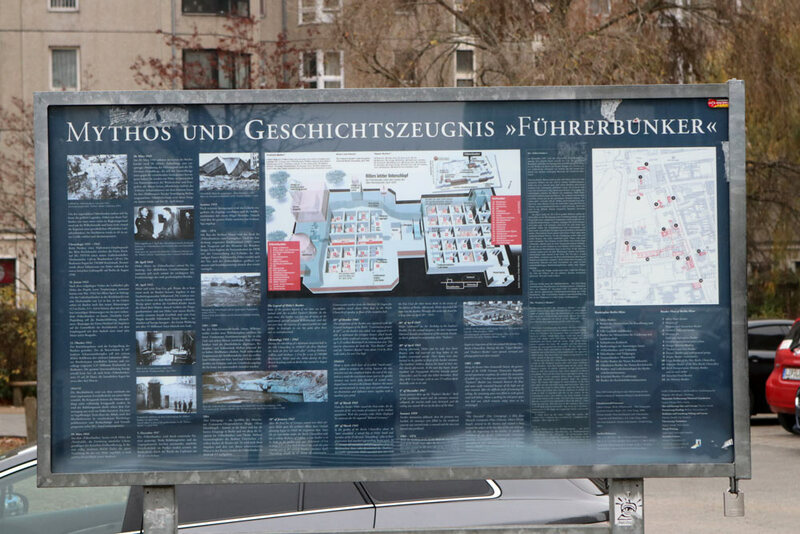 Since many tourists were looking for the location of the Führerbunker it was decided to place an information sign on the location in 2006.